This week my colouring has grown softer each day. 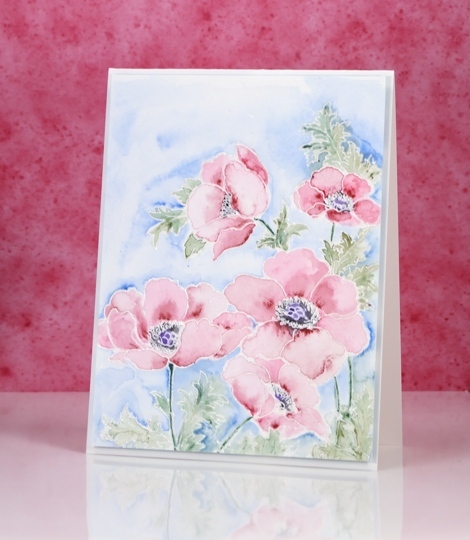 I changed mediums for this card and pulled out my tried and true watercolour pencils. I have added to my set lately but the originals are still the set I bought in university for my art subjects. I remember my parents thinking they were quite an expensive purchase then but I would say we got our money’s worth! 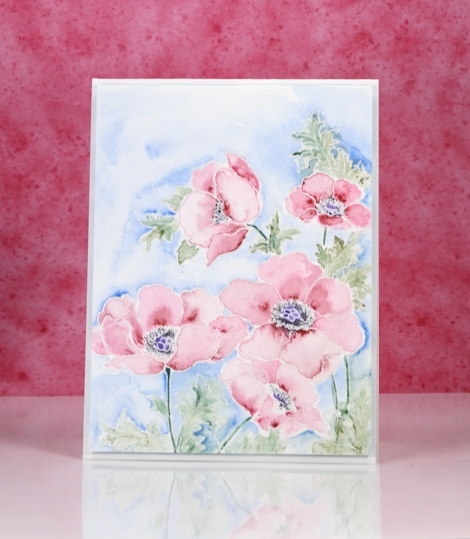 I embossed the poppy gems stamp in clear powder then painted each petal one at a time. I applied two pinks from the pencils and blended from dark to light, keeping some watermarks and blending others out. On yesterday’s card I kept the blending very smooth but sometimes I like to have a few watermarks here and there. Colouring three times in a row is great practice for Kathy Racoosin’s upcoming 30 day colouring challenge. The next one starts on July 5th and lasts until August 3. I will share more details closer to the time but it is a great challenge, no pressure to colour every single day, plenty of wonderful inspiration from Kathy and some prizes along the way. The soft colors are lovely! I certainly enjoy seeing your cards. 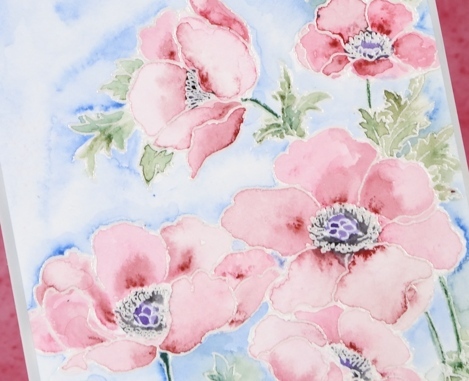 I love the different looks you are creating from the same stamps – all beautiful! Oh my gosh, Heather, that is so sweet! I’ve been enjoying all your flower cards and techniques, thank you! so love the softness of this one, Beautiful!